August 18 – Toucan Tuesday at Riverbanks Zoo and Gardens. To benefit Harvest Hope Food Bank, bring at least two non-perishable food items to donate and get 2 admissions for the price of one. For more information call (803) 779-8717 or visit http://www.harvesthope.org/calendar/toucan-tuesday-returns-to-offer-bogo-zoo-tickets. Through August 21 – “Lincoln: The Constitution and the Civil War” at the South Carolina State Museum. Come learn how President Lincoln used the Constitution in making the decisions he did regarding the Civil War. For more information call (803) 898-4921 or visit http://scmuseum.org/. Through August 23 – “Tyrone Jeter: BLACK” exhibit at the 701 CCA on Whaley Street. Come view the artwork of this fabulous local artist. 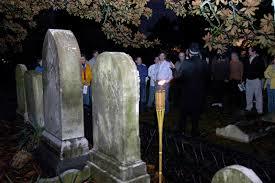 For more information call (803) 319-9949 or visit http://www.701cca.org/. Through August 27 – Five after Five Spring Concert Series on Thursdays at the Five Points Fountain. The band “Atlas Road Crew” with special guests “Major and the Monbaks” For more information call (803) 748-7373 or visit http://www.fivepointscolumbia.com/. Through August 30 – Exhibition “In and Out of the Wild: Animals in Art” at the Gallery West on State Street. 16 artists will display their art that will help the viewer to better understand their connection with animals. For more information call (803) 207-9265 or visit http://gallerywestcolumbia.com/event/exhibition-in-and-out-of-the-wild-animals-in-art/. Through September 5 – “McKissick and You: Collecting What Matters” exhibit at the McKissick Museum. Display includes a variety of items that have been collected to include an early Cocky costume. For more information call (803) 777-2521 or visit http://artsandsciences.sc.edu/mckissickmuseum/mckissick-and-you-collecting-what-matters. Through September 11 – “From Marilyn to Mao: Andy Warhol ‘s Famous Faces” at the Columbia Museum of Art. Come view works from one of Americas greatest 20th Century artists. For more information call (803) 799-2810 or visit http://www.columbiamuseum.org/. Through September 26 – Soda City Market on Main Street in downtown Columbia. On Saturday mornings, start your day by visiting this wonderful market full of local foods, produce, plants, crafts, and even entertainment. For more information call (803) 250-5801 or visit http://sodacitysc.com/. Through October 31 – “The Breman Town Musicians” at the Columbia Marionette Theatre. Join the exciting musical adventures of Donkey, Cat and Rooster. For more information call (803) 252-7366 or visit http://cmtpuppet.org/. Through December 15 – Hand Building Techniques at the Columbia Art Center. Come learn the basics of working with clay. For more information call (803) 545-3093 or visit http://columbiasc.net/depts/parks-recreation/hand_building_basics.pdf. Tuesdays – Toddler Tuesdays at the EdVenture Children’s Museum. Bring your toddler In for seasonal art activities, music, and our sand tray exploration in the Early Learning Classroom. For more information call (803) 779-3100 or visit http://www.edventure.org/calendar/calendar.aspx. August 12 – July 16, 2016 – 12-Cent Kids Day at the EdVenture Children’s Museum. For the Museums 12th Anniversary, kids get into the Museum for 12-cents on the 12th day of every month. In addition, if a membership is purchased on that day and get 12 Chick-fil-A Kids Meals for free. For more information call (803) 779-3100 or visit http://www.edventure.org/calendar/calendar.aspx. August 12 – 16 – “Shaun Jones” at the Comedy House. Guaranteed to make you laugh until it hurts. For more information call (803) 798-9898 or visit http://comedyhouse.us/shaun-jones/. August 13 – 23 – “Ulterior Motives” at the WOW Performing Arts Center on Shakespear Road. Come see this entertaining work about a down to earth, honest woman who discovers that the motives of those around her aren’t as they appear. For more information call (803) 807-2969 or visit http://www.wowproduction.org/#!ulterior-motives/c1fha. August 14 – Arts and Draughts at the Columbia Museum of Art. Come enjoy dinner at one of the food trucks and come in for a Scavenger Hunt, a DIY project, and much more. For more information call (803) 422-4921 or visit http://www.columbiamuseum.org/arts-draughts-aug-2015. August 14 – 22 – “Big City” at the Trustus Theatre. Through this modern tale, learn about relationships and communication in the 21st Century, the winner of the Trustus Playwrights’ Festival. August 15 – Back to School Vendor Expo at the Columbia Place Mall. Event will include more than 20 vendors and will include raffles, door prizes, face painting, and more. For more information call (803) 216-5524 or visit http://columbiaplacemall.com/events. August 15 – “Midnight Star” at Finlay Park. This is the last of the Summer Concert Series, so bring you blanket or a chair and enjoy one last evening in this beautiful park. For more information call (803) 545-3100 or visit http://coladaily.com/2015/05/24/free-summer-concert-series-set-to-return-to-finlay-park/. August 15 – Young Artists Festival at the 701 CCA at Whaley’s Market. Come see some of the areas young local talent by kids ages 6 to 17, as well as enjoy performances, art making activities, games, and more. For more information call (803) 779-4571 or visit http://www.701cca.org/event/2015-young-artists-festival/. August 15 – A Taste of Hogwarts South Preview Party at 302 Artisans on Senate Street. Come out for this free event (costumes welcome) and enjoy a costume contest, storytelling, music, games, and food samples. For more information call (803) 459-2480 or visit http://hogwartssouth.weebly.com/. August 15 – Palmetto Peanut Boil at the Publick House on Devine Street. Come out and sample a variety of boiled peanuts and choose your winner, and enjoy live entertainment, good food, and fun activities through the afternoon hours. For more information call (704) 649-5358 or visit https://www.mastgeneralstore.com/events/peanut-boil-2015. August 15 – India Day at Lexington Middle School. Event will include a variety of dances from the various states in India, authentic food, beautiful costumes and jewelry, and more. For more information call (803) 772-9650 or visit https://www.facebook.com/htccsc?fref=photo. August 15 – HairWalk Runway Show at the Columbia Metropolitan Airport. Event will include the HeadHunterz hair design competition, the hair walk, and a cancer survivor fashion show walk. For more information call (803) 609-0091 or visit http://hairwalk.org/. 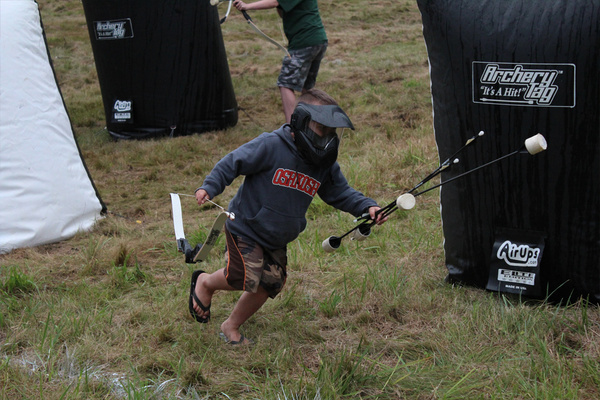 August 15 – Hot Shots Archery Games Grand Opening at the Intense Volleyball Gym in Lexington. This event is like tag but uses bows and foam tipped arrows. 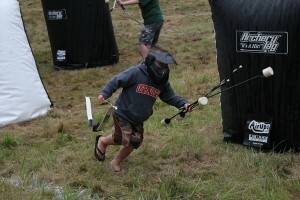 For more information call (803) 587-1086 or visit http://archerytag.com/Hot-Shots-Archery-Games. August 16 – Dollar Sunday/Woodrow Wilson Family Home to start at the Gift Shop at the Robert Mills House. For more information call (803) 252-1770 ext. 23 or visit http://www.historiccolumbia.org/events/dollar-sunday-WW. August 17 – “I Am Big Bird” at the Nickelodeon Theatre. Learn about the man behind Big Bird and Oscar the Grouch. For more information call (803) 254-254-8234 or visit http://nickelodeon.org/films/i-am-big-bird/. August 17 – 19 – “OFF-OFF Lady: Still Twitty After all of These Years” a Trustus Theatre performance at Pearls Oyster Bar Upstairs. Come out and enjoy this entertaining play about three females incarcerated for shoplifting and required to do a community service project where they have to do a community concert. For more information call (803) 254-9732 or visit https://www.trustus.org/show.php?show_id=97. August 18 – Toucan Tuesday at Riverbanks Zoo and Gardens. For more information call (803) 779-8717 or visit http://www.harvesthope.org/calendar/toucan-tuesday-returns-to-offer-bogo-zoo-tickets. August 21 – Happy Hour at the Robert Mills House / Water Balloon Battle. Attendees will be divided into groups and will learn about historical military battle tactics and then battle it out on the grounds of the Robert Mills House. For more information call (803) 252-1770 ext. 23 or visit http://www.historiccolumbia.org/events/happy-hour-history-robert-mills-house. August 21 – Movies in the Park at North Springs Park on Clemson Road. The movie will be “Big Hero 6” and will begin at sunset, with plenty of activities to enjoy prior to the movie showing, to include giveaways. For more information call (803) 451-1318. August 22 – Children’s Trust Benefit Gala and Silent Auction at the South Carolina State Museum. Event will include live entertainment, hors d’oeuvres, and open bar and a silent auction. For more information call (803) 744-4025 or visit http://www.scchildren.org/about_us/get_involved/benefit_gala_and_auction/. August 22 – Jailbreak Escape Urban Challenge Run at the Lexington County Sheriff’s Department. This is a 3.1 mile run that includes obstacles and cross-fit style exercises. For more information call (803) 785-8230 or visit http://www.jailbreaklexington.com/jailbreak-escape.html. August 22 – Main Street Latin Festival in downtown Columbia. Event will include live Latin and Caribbean music, authentic food, activities for the kids, and even dancing. For more information call (803) 939-0360 or visit http://www.mainstreetlatinfestival.com/. August 22 – Run Wild Cross Country Festival at Sesquicentennial State Park. This event put on by the Northeast High School Cross Country Team with it being one of the few events run completely on unpaved roads and trails. For more information call (803) 622-7865 or visit https://sites.google.com/site/runwildxcfestival/home/general-information. August 22 – Rise and Slide at the Historic Columbia Speedway. Top off the summer with a 500’ water slide, water balloon or water fun fights, entertainment and food. For more information visit http://riseandslide.com/columbia-sc. August 22 – FOLKFabulous on the Horseshoe on the USC campus. Event is to celebrate the music of South Carolina and will include performing artists, instrument makers, food vendors, and opportunities to make music. For more information call (803) 777-2876 or visit http://artsandsciences.sc.edu/mckissickmuseum/folkfabulous-2015. August 22 – LCAA Annual End of Season Celebration at the Lexington Town Hall. Event is an Oscar type celebration for the Village Square Theatre presentations for the 2014-2015 season. For more information call (803) 359-1436 or visit http://villagesquaretheatre.com/. August 22 – January 22, 2016 – “Threads: The Story in Out Clothes” at the South Carolina State Museum. Learn about 200 years of clothing and fashion and what it tells us about the culture of that time. For more information call (803) 898-4921 or visit http://scmuseum.org/explore/exhibits/changing-exhibits/threads-the-story-in-our-clothes/. August 23 – Queens of Tea Drag Show at Juleps Bistro on Sparkleberry Crossing. Proceeds to benefit South Carolina Pride. For more information call (803) 419-7200 or visit https://www.facebook.com/events/857779917592053/. August 23 – Craft & Kvell at the Katie and Irwin Kahn Jewish Community Center. Bring your craft projects for a day of fun and fellowship. For more information call (803) 787-2023 or visit http://www.jcccolumbia.org/jcc-general-calendar/. August 24 – 29 – Woodcreek Classic at the Members Club of Woodcreek Golf Course in Elgin. Event will include a pro-am tournament, a longest drive contest, a Shootout and the centerpiece event, a 72 hold tournament for up and coming young pros. For more information call (803) 699-2411 or visit http://www.swingthought.com/tour/pro-series/woodcreek-classic/. August 27 – Five Points After Five at the intersection of Harden and Devine Street at the fountain in Five Points. The band for this week will be the “Atlas Road Crew” with special guests “Major and the Monbacks”. For more information call (803) 748-7373. August 28 – Long’s Barstool Classic beginning at the Fountain in Five Points. This is a 10 hole putt putt tournament/bar crawl to benefit the Babcock Center Foundation with the winner winning $500. 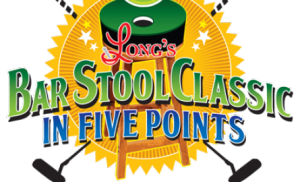 For more information call (803) 748-7373 or visit http://fivepointscolumbia.com/events/7th-annual-bar-stool-classic. August 28 – COLA Gives Celebrates Black Philanthropy Month at the Brookland Lakeview Empowerment Center. For more information call (803) 497-3638. August 29 – Cromer’s P-Nuts 80th Birthday Celebration at Cromer’s P-Nuts on Huger Street. Event will include activities for the kids, treats, entertainment, a vintage car show, and much more. For more information call (803) 779-2290 or visit http://www.columbiacvb.com/listings/Cromer-s-P-Nuts/15433/. August 29 – Freeway Music Festival at the Music Farm. Bands will include “Villanova (formerly Weaving the Fate)”, “Danielle Howle”, “ The Reggie Sullivan Band”, Prettier than Matt”, and more. For more information visit http://www.musicfarm.com/event/890279-freeway-music-festival-columbia/. August 29 – Randy Riggle Nostalgia Show at the Jamil Temple. Come out and enjoy this great comedian and impersonator. For more information call (803) 772-9380 or visit http://www.jamilshriners.com/. August 29 – Moose Car Show at the Cayce Moose Family Center. Competition open to a variety of cars from 1920-1980, so come out and vote for the peoples choice award. For more information call (803) 381-4643 or visit https://www.facebook.com/events/930343990366423/. August 29 – September 29 – Enter the Scarecrows in the Garden Contest at the Robert Mills House and Gardens. Create your favorite scarecrow to enter in this contest, with scarecrows being on display at the Robert Mills House for public viewing through the month of October. For more information call (803) 252-1770 ext. 23 or visit http://www.historiccolumbia.org/scarecrows-contest.